Chocolate Flax Superfood Shake! A creamy, healthy way to start your day. Kid-friendly and tastes like a treat! 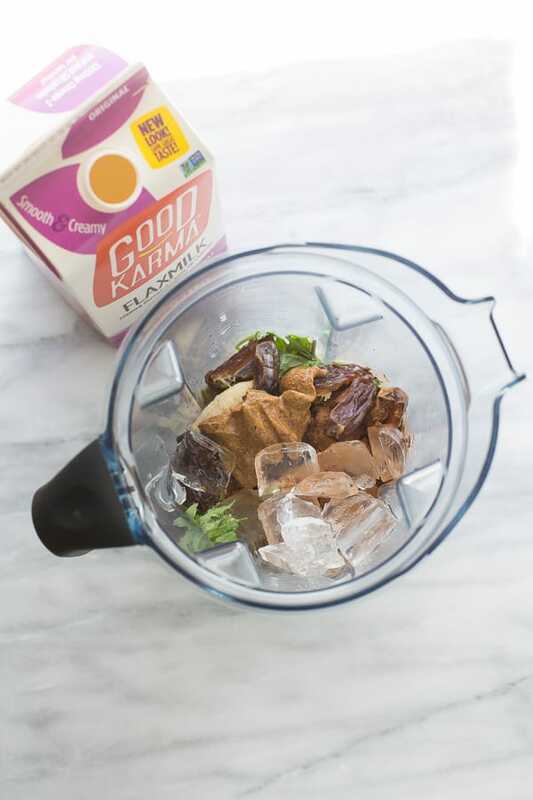 This post was created in partnership with Good Karma Foods. 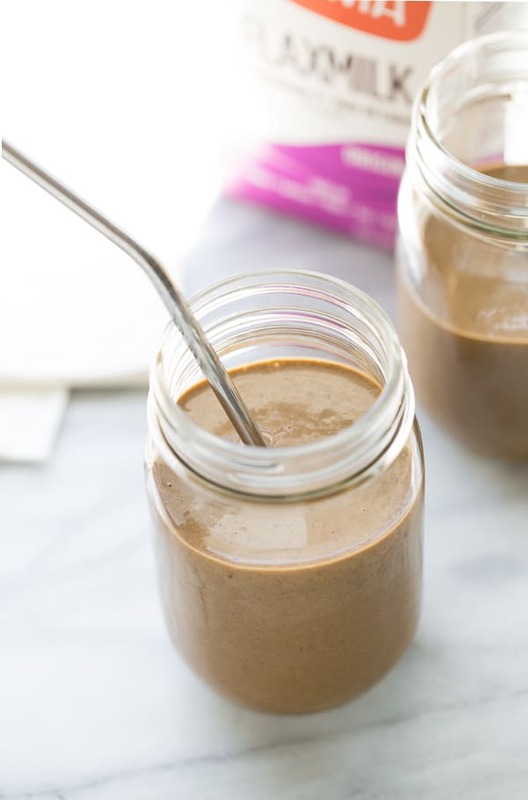 This Chocolate Flax “Superfood” Shake is a breakfast we’ve made on repeat for a few years now. I love making smoothies in the morning for quick, healthy breakfasts and usually ask my kids if they want a fruit green smoothie or a “chocolate shake”. 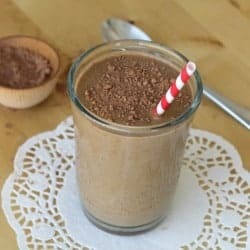 I love making this “chocolate shake” for them because I can load it up with good ingredients (even an handful of greens they don’t notice!) and they think it tastes like a treat. We also like to make it for a tasty afternoon snack. 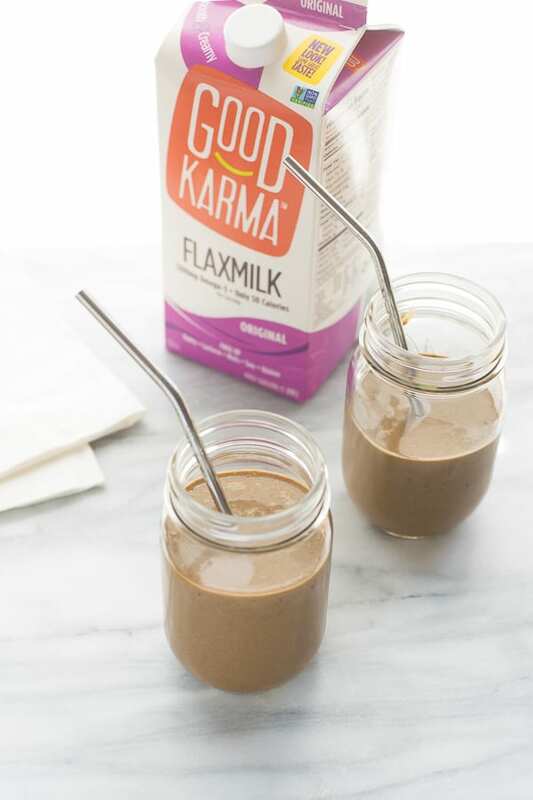 Lately we’ve been loving making this shake with Good Karma Flaxmilk! I discovered Good Karma products a few months ago and have been hooked. 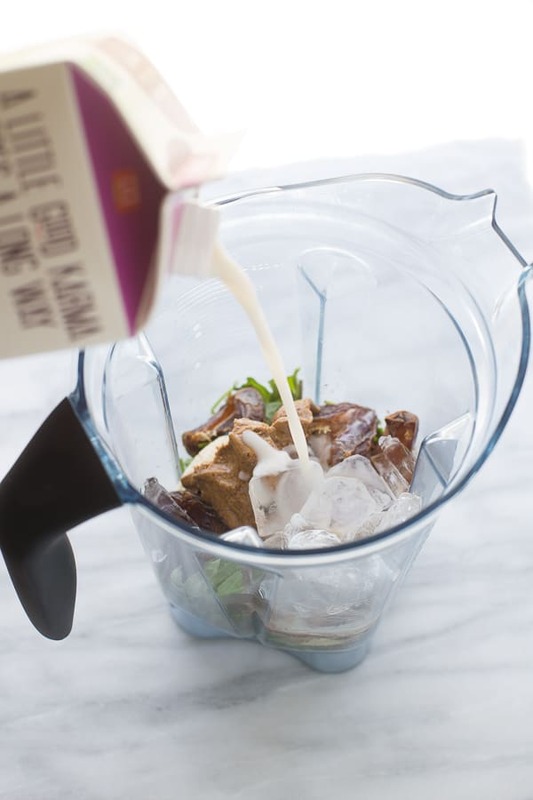 Their flaxmilk is as easy to pour into smoothies, oatmeal, cereal or any other time you’d use regular dairy or almond milk. I’ve also been using it in pancakes, waffles and baking and it works great. Good Karma products are made with cold-pressed flaxseed oil, which is rich in Omega-3s. 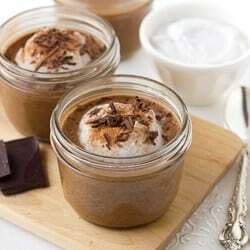 It is creamy and has a delicious, neutral flavor. Flaxmilk is also a great alternative to almond milk if you have a nut allergy. All Good Karma products are gluten-free and free of major allergens. I have loved having flaxmilk to switch up my usual almond or coconut milk! I buy Flaxmilk at Sprouts or Whole Foods, but you can find their products nationwide using the store locator on their website. This Chocolate Flax Superfood Shake is naturally sweetened with banana and fiber-rich dates. It also has a big dollap of almond butter (or sunflower seed butter if you want this to be nut-free) for some extra protein. I usually add a handful or baby kale or spinach because you can’t even taste it. The whole thing blends up creamy, cold and delicious! This recipe makes enough for 1 or 2 people. I usually double it when making it for my family. Enjoy! Place all the ingredients in the jar of a high-speed blender. Blend until smooth. Add more ice or flaxmilk to desired consistency. Enjoy! MAKE-IT NUT-FREE: Use sunflower seed butter instead of the almond butter. Hi Erin! It’s Julia Kermott! I’ve been following your blog and love it. Just wondering what I should use for Cocoa powder? Is that the same as Raw Cacao powder? Hope you guys are well! 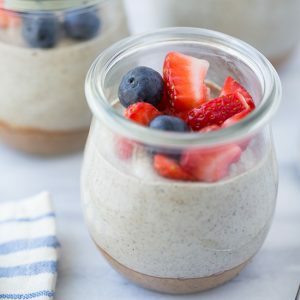 Wondering if you have recipe for making flax milk that you like.